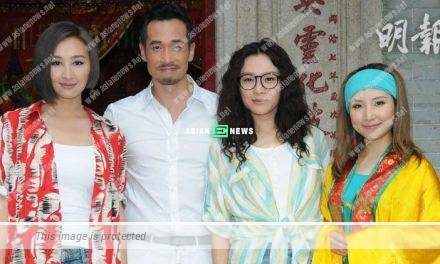 Anita Yuen (袁詠儀) and Julian Cheung (張智霖) are known as a model couple in the entertainment industry and their idol turns out to be Chow Yun Fat (周潤發) and his wife. A few days ago, Anita shared photo of themselves with Calvin Choy (蔡一智), Yun Fat and their spouses having dinner together and revealed Yun Fat was their super idol. She left an online message: “I am full of envy of this model couple. 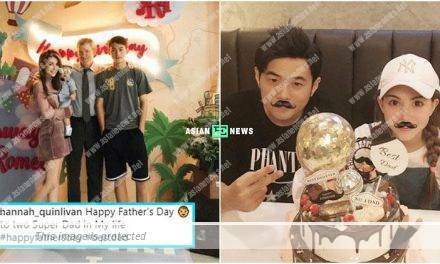 Yun Fat and his wife are my super idols and I feel overjoyed to have dinner with Calvin, his wife and others.” It is definite that they will take group photo together and Yun Fat is smiling, while taking the photo personally.